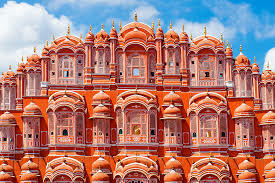 Jaipur, Rajasthan capital offers a beautifull taste of Indian culture and tradition and is one of the most visited historical destinations in India. 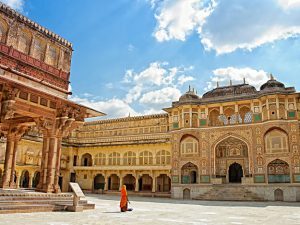 If you get fascinated by monuments, havelis, colourful markets, jewelleries, folk songs and dances, then Jaipur is a perfect place for you visit. The city’s forts and monuments reveal the brilliance of the past era. Jaipur , Delhi and Agra form the golden triangle of tourism, the most popular tourist route in India. The enduring charm and mystery of Jaipur attracts travelers not only from Delhi and India but from all over the world. Jaipur,connected to Delhi through a well laid out highway and the best mode of travel from Delhi to Jaipur is by taxi. Travelling through a taxi is not only easier but gives you plenty of leisure time to spend with your loved ones. Tapscabs Car Rentals which is one of India’s largest and most trusted company for taxi services across the nation. Its booking platform tapscabs.com helps booking the best quality and affordable Delhi to Jaipur cabs in just few seconds. Distance from Delhi to Jaipur approximately 260 km and you can complete the journey conveniently within roundabout five hours . Travelling by a taxi gives you convenience and comfort to take halts where ever you want to and provides assurance that the distance will be covered in best possible time. Avail the services for Delhi to Jaipur cabs at Tapscabs and enjoy a great trip with family and friends. Highway offers a great variety of places to eat. For an early break, you can take a halt at Haldiram. Soon after crossing Gurgaon, you will find Haldiram very famous for its wide variety of sweets and namkeens. You can also try out food and snacks while sitting in its decent ambience. Rao Dhaba is another well-known eating place on Delhi-Jaipur Highway. You’ll see large number people stopping here to satiate their taste buds. Behror , in the middle of Delhi and Jaipur highway managed by Rajasthan Tourism also known as Behror Midway. It has clean and hygienic surroundings and you will also find good food here. You can also book cab services for other popular routes from Delhi like Delhi to Agra, Delhi to Nainital, Delhi to Shimla, Delhi to Auli , Delhi to Vrindavan , Delhi to Chandigarh and Delhi to Nainital etc. There are wide range of vehicle options available on Tapscabs.com ranging from small hatchback, sedan to SUV. You can select the one which fits your budget and can accommodate your group size. Car models like Indica, Etios, Innova are most preferred by customers. You are assured of a comfortable trip in your cab to Jaipur. All our cabs are well maintained and driven by trained and courteous drivers. You can book your taxi from Delhi to Jaipur at affordable and reasonable rates here at Tapscabs. Night driver allowance only applicable if incase cab and driver are engaged during the night starting from (10 PM to 6 AM) till morning. Additional hours only if you exceed your designated duration of cab usage. A trip down to history. more details about our Delhi to Jaipur taxi services or any other trip, call us 7248772488.